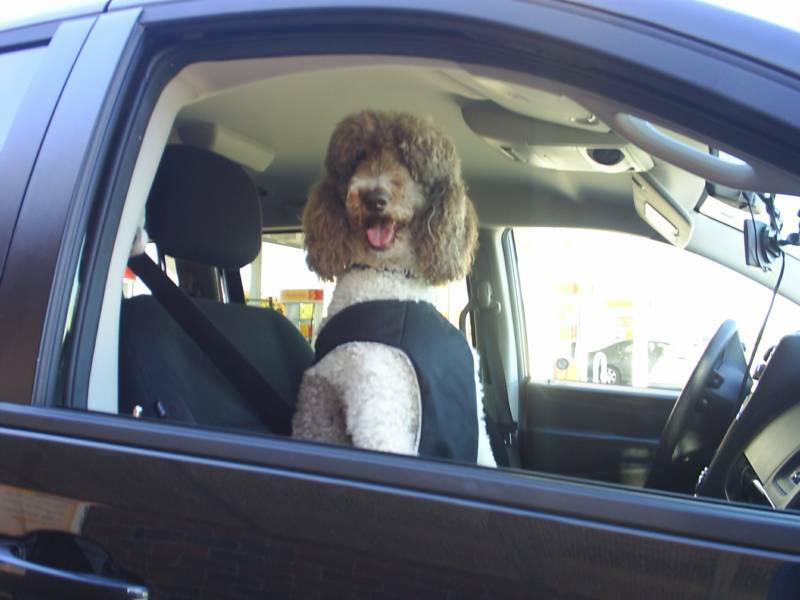 DriverLES provides Reliable Pet Transportation locally or regionally, as you might need help with. I am a clean cut, non smoking/drinking/drugs, intelligent guy and my focus is on the task at hand; that of delivering your PET to its destination with a minimal amount of road time. Of course, potty and excercise stops will be made as necessary, but I will normally drive pretty much straight through while providing door to door service for your furry loved ones. The only requirement is that you provide a travel carrier for your PET unless it is huge like Dillon, Kobota or Annabelle!! You are also welcome to go along on the trip if needed and/or desired. What can DriverLES do for you and your pet? I have transported numerous pets over the last several years. 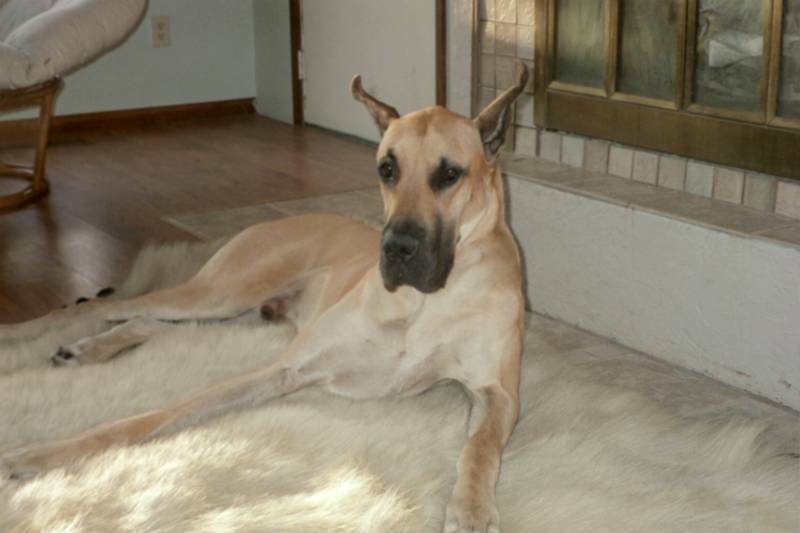 My "DOG of the YEAR" Award for 2009 goes to "DILLON a 147 pound, 2 year old Great Dane delivered from Federal Way, WA to Anchorage, AK. 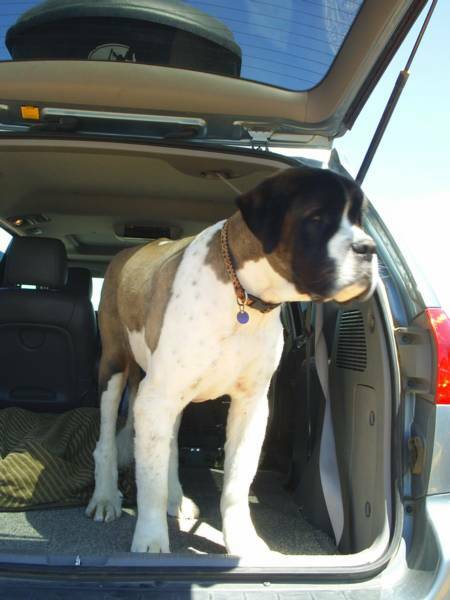 "DOG of the YEAR" for 2011 goes to "KOBOTA" a 180 pound, 7 year old St. Bernard that I drove from Silverton, OR to Waterbury, VT in June 2011. Now, this years winner, and "DOGGIE of the YEAR" for 2012 is Annabelle. A full size, 7 year old standard Poodle and boy did she grab the attention of most everyone we came close to on our trip from Philadelphia, PA to Healdsburg, CA in September 2012. All three dogs are pictured above and they were all soooooo much fun to travel with!! I am located in Olympia, WA and serve the Greater Puget Sound area and points between Bellingham, WA and Portland, OR. Longer trips and destinations are possible (see above), so just ask and excellent references are available of course.Generally available on short notice; my experience shows me that these moves are usually somewhat emergent in nature and I am more than willing to step right in to help out! !